Houston, Texas is the 4th largest city in America and the largest city in Texas. It offers top notch opportunities, attractions, entertainment and amenities of a large city with Texas size flare and hospitality. 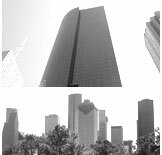 Houston is internationally known in the Oil & Gas industry however, Houston's economy has a broad industrial base in energy, manufacturing, aeronautics, and technology; only New York City is home to more Fortune 500 headquarters. Houston maintains a comfortable climate with summers typically in the 90’s and winters in the 50’s to the upper 40’s. From fine dining, to upscale shopping, to major names in entertainment & sports, Houston has something to offer for every lifestyle and age group. "Houston" was the first word Neil Armstrong spoke on the moon. It’s home to the first major freeway in Texas. America’s first public television station is located here. What makes Houston a great city to live in? As you know Texas has no state income tax and cost of living is fairly low inmost areas! Go visit the Salary Calculator to compare the cost of living in Houston to where you live now.